Boy, I love this guitar! And so might you. Why, you might ask… Well, first of all, just look at it. It looks stunning. And as we all know: looks are everything! But there are a few more things I’d like to point out. 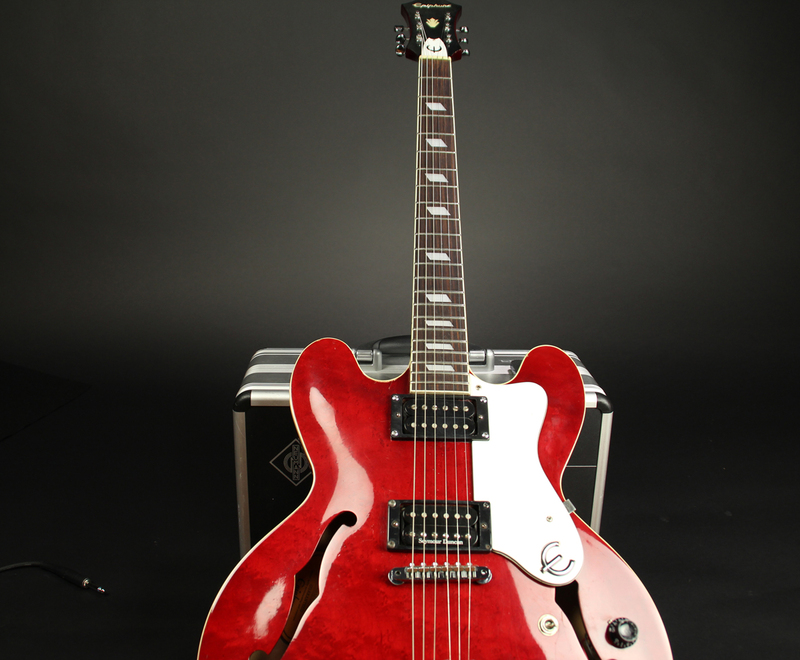 This is a semi-acoustic, semi-hollow bodied guitar shaped similarly to a Gibson ES-335. But it is a little lighter than it’s big brother. It is surprisingly light in fact, which means I can play it for hours without my shoulder falling off. 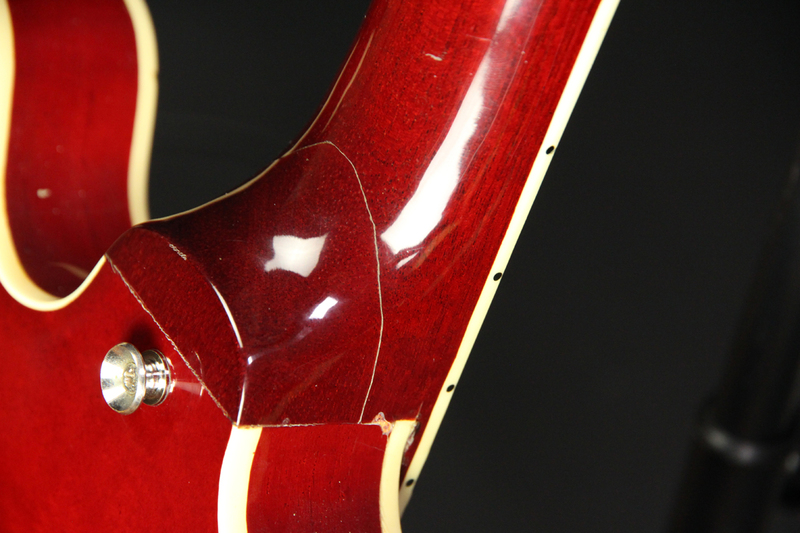 The neck of the Epiphone is a set mahogany neck and has rosewood fingerboard with parallelogram inlays. Also, it is a little wider than other guitars I have played (24.75″ scale 1.68″ nut width). This makes the grip feels smoother. Riviera was originally produced in the USA from 1962 until 1969. Currently it is being produced in Asia and is a budget alternative to Gibson guitars. These days (Feb 2016) you can get a Riviera Custom P 93 for about $ 500. So in other words, a lot of guitar for relatively little money. Now, let’s dive a little deeper. We agree that it looks great, feels great, both to hold and to play. What does it sound like? Let’s talk about pick ups. 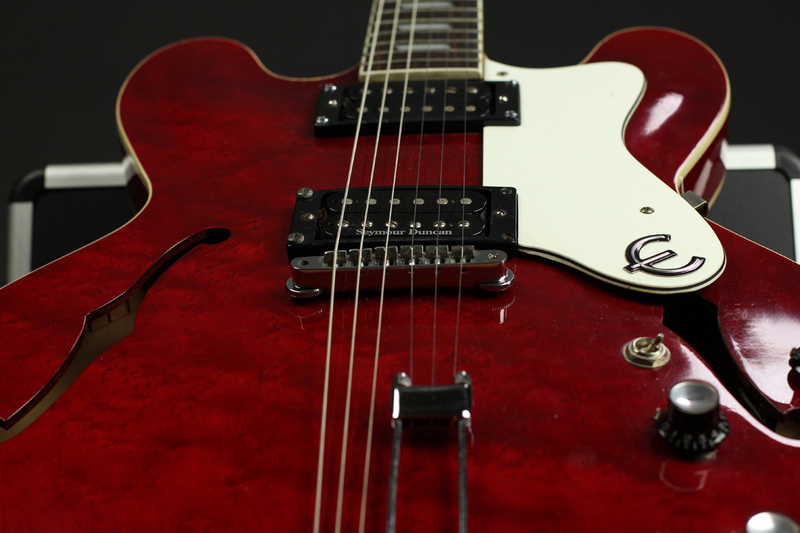 The Riviera was originally released with Mini-Humbucker pickups. I have for myself concluded that my Riviera was part of a re – issue series launched in 1994. Originally released with Humbucker Pickups. I did, as you can tell from the picture, change that to Seymour Duncan pickups. It’s, as with a lot of things in the music industry, an old debate on what is best: Single Coil or Humbucker. Single Coil being brighter and snappier, Humbucker being louder and fatter. Very simply put. 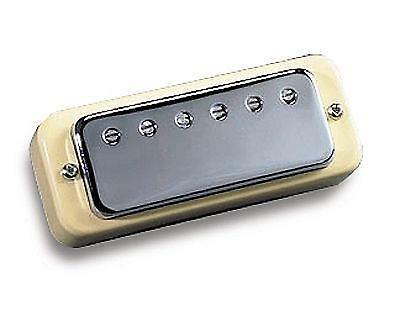 I think I found a middle ground to be honest: Seymour Duncan Hot Rodded Humbucker Set. That is what you see here. They have a low output (no hum – these pickups are very quiet), they are bright and articulate, have a full tone, but doesn’t get muddy. You can play any style: jazz, pop, rock even blues and hard rock. If you like to play many different styles, maybe even within the same set, I highly recommend these pickups. 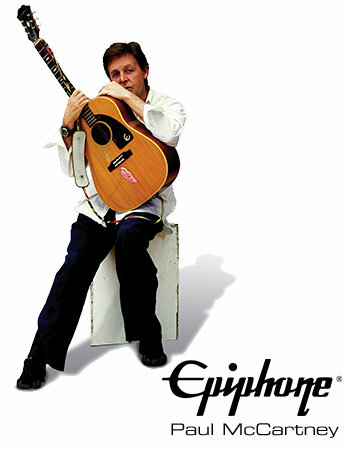 THE STORY OF EPIPHONE is interesting! It started out in 1873 in İzmir, Turkey by Greek founder Baluntang Ryan. 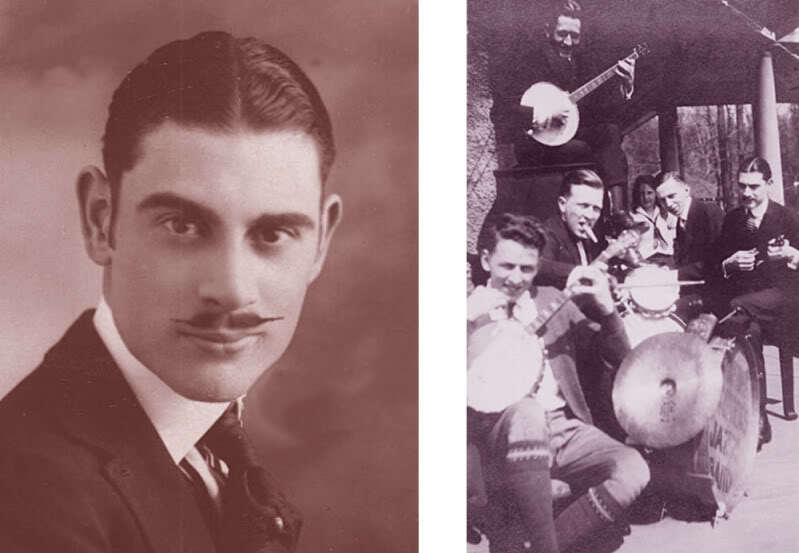 The Stathopoulo family continued making his instruments and moved to Manhattan in the early 1920’s. Epaminondas (Epi) Stathopoulo took over the family business, and produced the first guitar in 1928 (Greek phon-, “sound”/”voice”<). 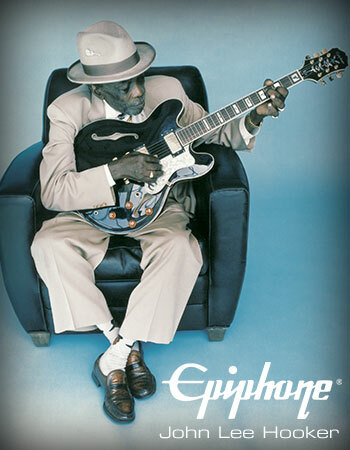 Epiphone attracted the best musicians to its Manhattan showroom and soon became Gibson’s main rival in the archtop market. However, due to a strike the company moved from New York to Philadelphia in 1951. At the urging of the legendary Les Paul Epiphone was acquired by Gibson in 1957. 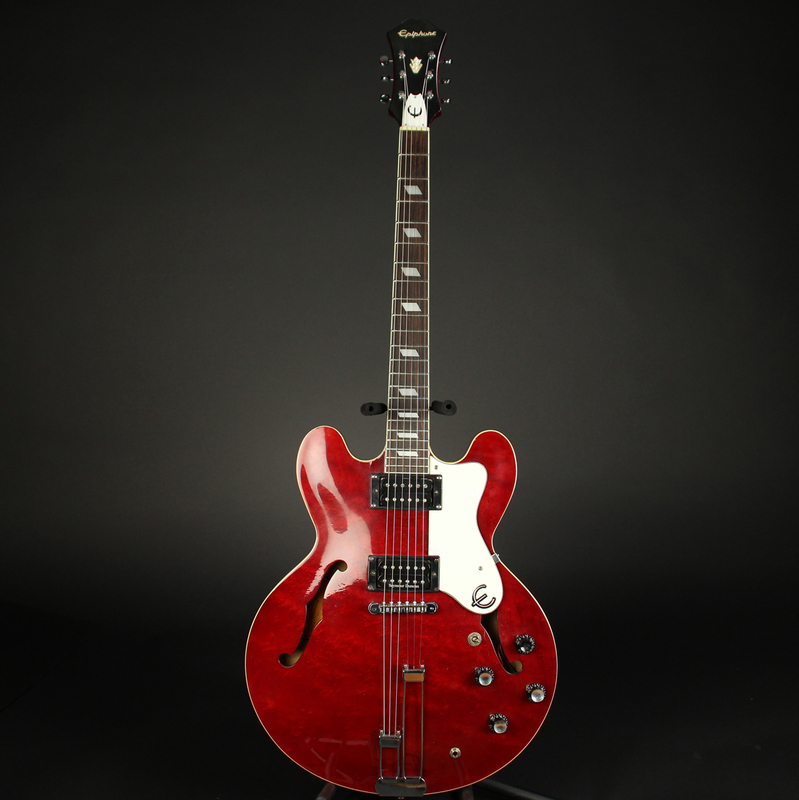 Gibson is currently based in Nashville, Tennessee, but From the 1980s, Epiphones were manufactured mainly in Korea and Japan by contractors. 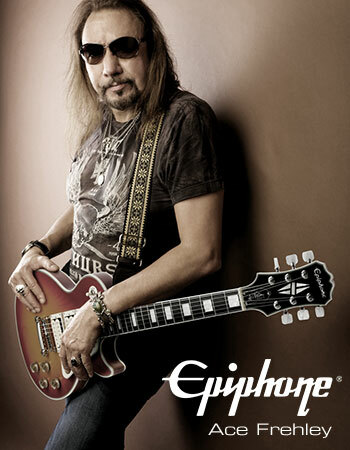 In 2002, Gibson opened a factory in Qingdao, China and with few exceptions, Epiphones are now built only in the Qingdao factory. But I got the guitar fixed by having a knowledgeable friend put in two wooden pieces to bridge the gap and then glue the neck and body together. Result: It plays better now than before it broke! It is more in tune and more stable. I don’t even have to re-tune it during a show, which is quite amazing. Morale of the story: a situation that looks dire can actually be turned around and become something better. Never ever give up! 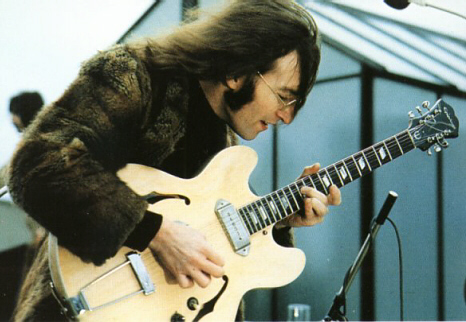 John Lennon is arguably the most famous Epiphone Guitar player. One reason being of course that he is just the most famous anything inside the music industry. But there are many great players that have discovered the beauty of this “working class hero” guitar. Here are a few. You know them.. 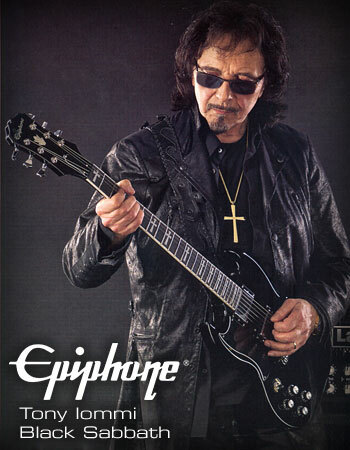 It is time to show you the Epiphone Riviera in use. This performance took place at The Grand Ballroom, Manhattan NY in 2011.The idea behind doing Hallelujah by Leonard Cohen was of course to do the regular verses. Then this high note bubbled up, and I just went for it and with the audiences reaction I forgot the words to the friggin’ 4th verse. Now I only sing these three verses whenever I perform it. sign up to my email list below. Sign up now and I will send you three tracks from my album “America”. 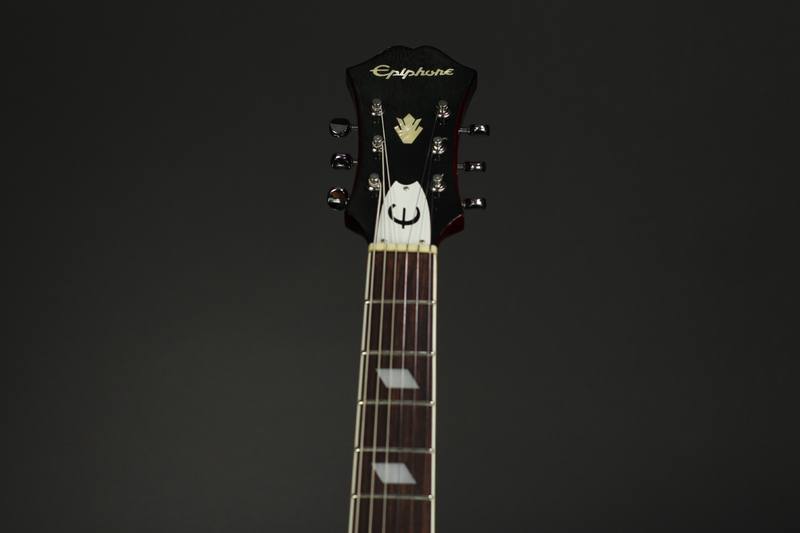 Do you own an epiphone yourself? Send me a picture! I will feature it on my social media.